Don't forget to head over to One Artsy Mama to enter her 9 (yes, I said 9!) 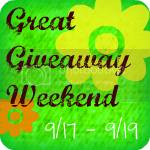 amazing giveaways. You can still get your name in until Sunday, September 25, 2011. It's Thursday and we all know what that means,......Photography Challenge over at A Step in the Journey. This week's theme is "A Mess". As you can imagine, it wasn't that hard to find one. So nice you have a place to lay it all out! Looks like a wonderfully colorful project! The best outcomes always seem to come from a big ole mess! Looks very familiar! A nice colorful pretty mess! Looks fun. 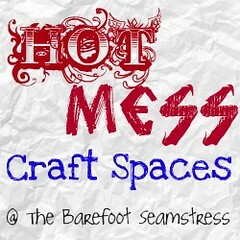 Craft messes are the best ones to have.